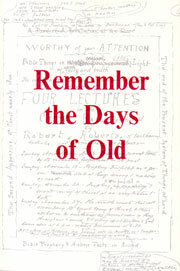 Author:Alfred Nicholls, paper back, 144 pages. Published by The Christadelphian (CMPA) in 1978. This book sets out to examine "some distinctive features of scripture teaching as they have been understood from the beginning of our history as a separate community". 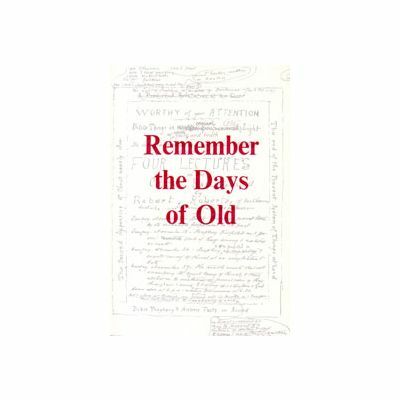 It aims to "inform and to exhort in days when it has become fashionable in the religious world to discard fundamentals ..."
In recalling "the days of old", the author encourages us to understand and appreciate our heritage, emphasising that what is important is not Christadelphian 'tradition' but the teaching of scripture on which Christadelphian faith is based. The book reprints the series of twelve editorial articles first published in The Christadelphian for 1977.